While we may be flatlanders, Minnesota is known for producing some of the best alpine skiers in the country. Indeed, there may be some advantage to our topography. Local coaches cite the ability to ski or ride hundreds of runs in a single day, something they don’t have the chance to do in say, the Rockies. That’s not to mention the strong ski culture and community of support that exists all across the state. If you’re looking for a great place to ski and snowboard in Minnesota, check out one of these top locales. From destinations up north perfect for a long weekend, to city hills that you can hit up on a weeknight, there’s no shortage of options here in the North Star State. 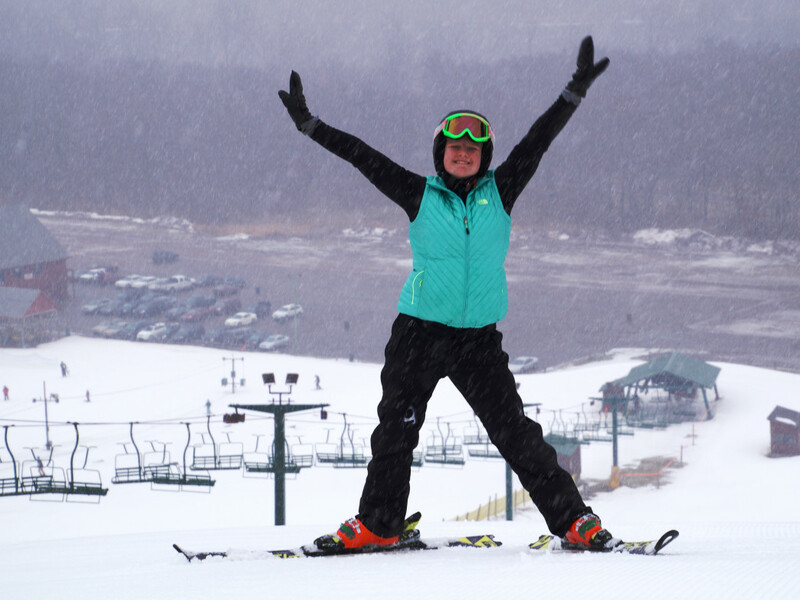 A widely known metro-area location, Buck Hill is where ski stars like Lindsey Vonn and Kristina Koznick got their start. The ski and snowboard area offers multiple surface tows, three chairlifts and lighted night skiing. For freestyle buffs, they also have a new airbag jump, which provides a 50 foot by 50 foot safety cushion to catch riders after launching off a 15-foot high snow jump. Rentals and daily, group, and private lessons are available on site. Situated within the Hyland Lake Park Reserve in Bloomington, Hyland Hills has long been a favorite among metro residents. The ski and snowboard area offers world-class grooming, some of the best snowmaking in the Midwest, and a progressive terrain park. What’s more, their brand new chalet will make you want to hang out for an apres ski snack. Equipment rental is available, along with lessons through their SnowSports Academy . The highest mountains and some of the best views on the North Shore are in the Sawtooth Range. 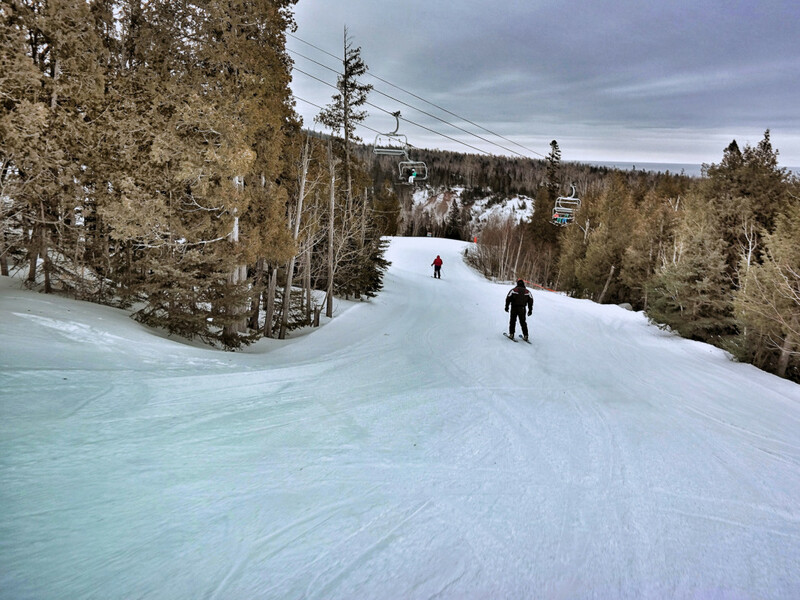 Lutsen takes advantage of those mountains, featuring 95 runs over four mountains with a lift-serviced vertical rise that is more than twice that of most other resorts in the Midwest. An ideal winter getaway, they offer ski and stay packages, along with special festival and event packages. Equipment is available at their rental shop and lessons for both children and adults are conducted through their Snow Sports Learning Center. Giants Ridge may be a four-season resort, but winter is the best time to visit. With 35 downhill runs and multiple terrain parks, every level of skier and snowboarder will feel at home here. A family-friendly resort, they also have a great tubing park. If it’s great scenery you’re looking for, you’ll catch plenty of glimpses of the Superior National Forest at Giants Ridge. They offer both equipment rentals and lessons for kids and adults alike. 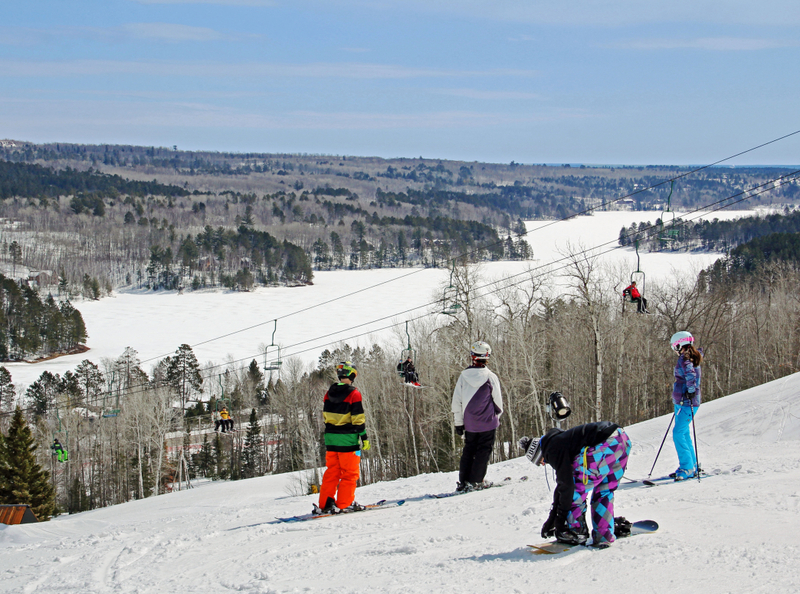 Situated in the gorgeous St. Croix River Valley, Afton Alps is considered one of the Midwest’s best spots for winter outdoor recreation. 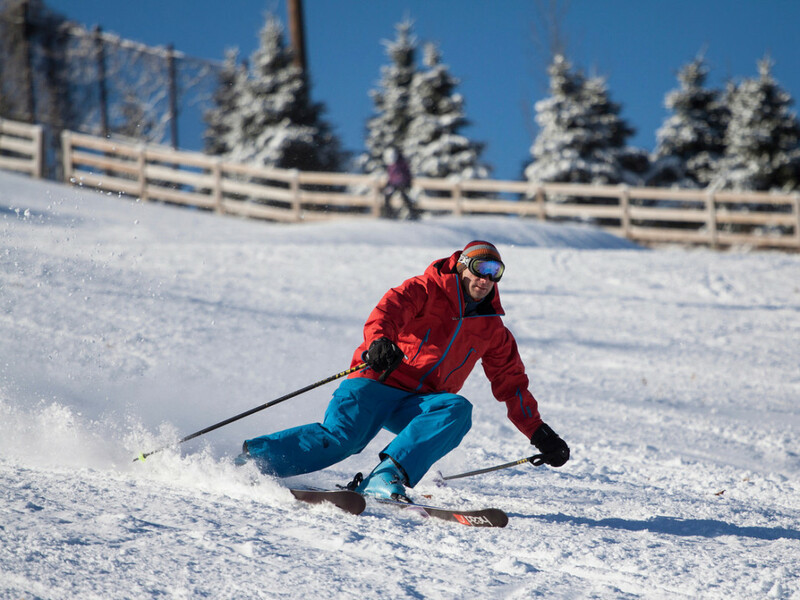 Owned by Vail Resorts, they tout state-of-the-art snowmaking and four impressive terrain parks, along with 300 skiable acres, 48 trails, and 18 lifts. Just 30 minutes from the Twin Cities, they also offer rentals, lessons for all levels and race training. 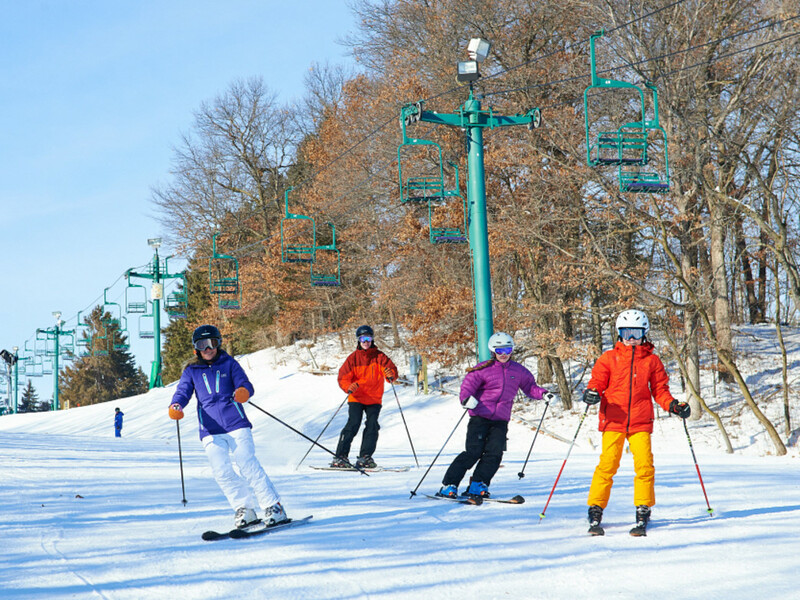 Located near Red Wing in the Cannon River Valley, Welch Village features terrain fit for beginners on up to expert skiers and snowboarders. They have 9 chair lifts, 60 trails, and lighted night skiing, along with snowmaking. For a no-hassle option only 40 minutes from the Twin Cities, Welch Village is a great an easy choice. Lessons, rentals and group rates are all available. Wild Mountain in Taylors Falls has 26 trails spread over 100 acres. A perfect place to bring the whole family, their four terrain parks and novice discovery area accommodates skiers and snowboarders of every experience level. Located on the shores of the St. Croix River just an hour north of the Twin Cities, this winter playground provides an easy escape from the city. Package rentals go for a nominal fee and lessons are offered daily. 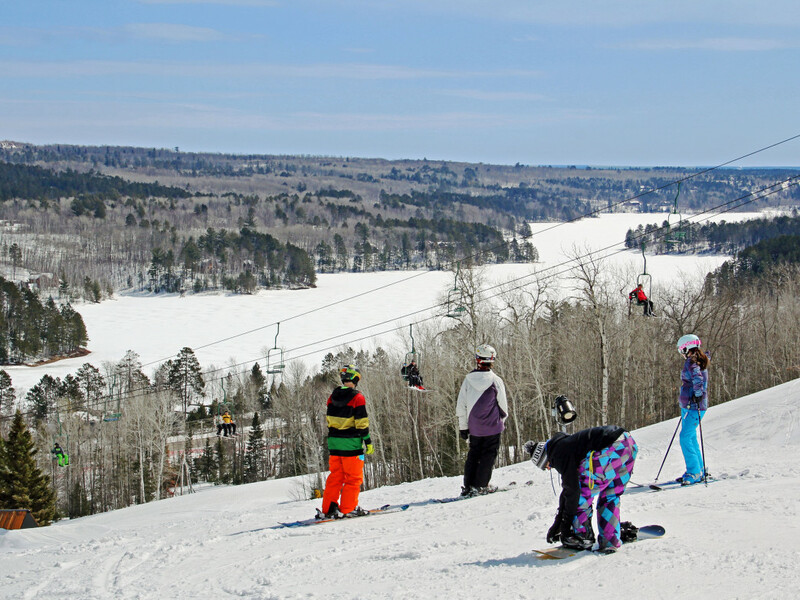 Eight lifts, 22 runs, and the largest terrain park in the Midwest make up Spirit Mountain in Duluth. Providing beautiful views of the city and harbor below, if you’re heading north, be sure to check out Spirit. They are also one of the first in the country to offer lift-access to fat bikers on certain days in their fat bike ski area. 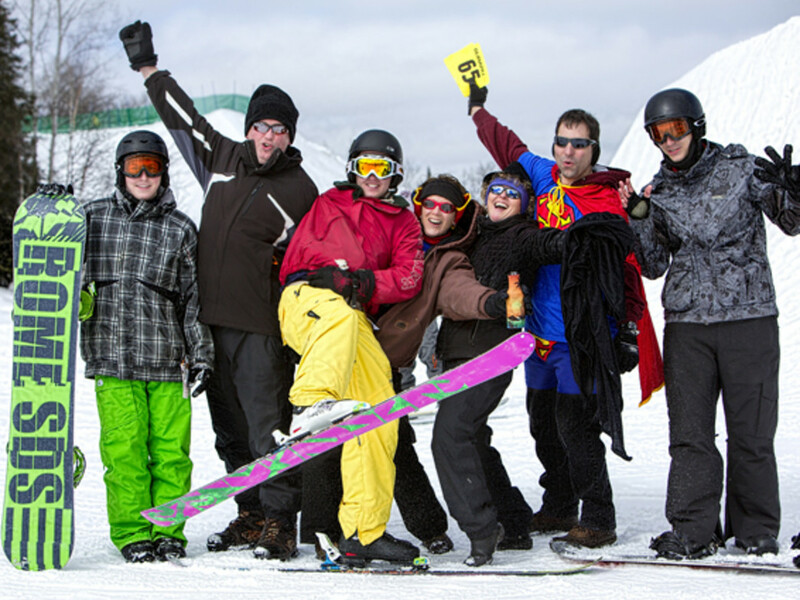 Ski and snowboard rentals, along with lessons, special winter programs and camps are all offered at Spirit Mountain.